my LinkedIn network and updating my profile. LinkedIn is an excellent tool and social network and as I’ve previously mentioned in other blog posts I highly recommend that everyone should maintain a LinkedIn profile if job seeking and it is also a highly useful resource for learning and sharing whilst employed as well. Of late I’ve come across a disturbing development on LinkedIn; first I’d like to recognise that this isn’t a practise perpetrated by LinkedIn, but by enterprising pay day loan company employees! Basically these loan companies are creating LinkedIn profiles which have a normal person’s name and a photo, but the majority of the profile is advertising for the loan company and a link through to their website. These profiles then send out spam connection requests to actual LinkedIn users like myself and are also liking your LinkedIn activity posts to garner good will and perhaps attract people to view/connect with their profiles. Unfortunately I made the mistake of accepting one of the connection requests on the iPhone app as the name sounded familiar to me. The iPhone app doesn’t show as much information as the full LinkedIn site and in the past I’ve often accepted a connection without really checking his or her profile. A few days later I realised my mistake when I received more spam connection requests from profiles with similarly named loan companies as their current employer and I started receiving likes on my activity updates from these and other pay day loan style profiles. I promptly went onto the full LinkedIn website and found out how to remove a connection and flag a profile as spam to rectify the situation and hopefully stem the tide of further spurious spam connection invitations – I’m still getting a few. This is a completely unprofessional practise on the part of the pay day loan companies and the profile owners. I am supportive of businesses marketing their services to potential customers in legitimate advertising and forums, however, there are limits and rules governing how and when they do so. LinkedIn does not condone the use of your individual profile for blatant advertising and we as the LinkedIn community have a duty of care to report this abuse of the system when we see it happening. What angers me more though is that this practise is being perpetrated by an industry that I have absolutely nothing good to say about as it takes advantage of ill-informed and desperate people and muddies the good name and reputation of financial services as a whole, where there are reputable companies and institutions who provide valid and vital services to our community. All I can say is that it was a really bad tactic for these companies to target me; all they’ve done is draw my attention to their further unprofessional practise and spurred me on to add my voice to the growing cacophony of the call to regulate and stamp out this reprehensible business practise of what amounts to legalised loan sharking. Don’t accept any LinkedIn invitations without first checking out the connection’s profile to be sure that they are who they say they are, even if you recognise the name and profile picture. If the invitation is spam wait until you can view the full LinkedIn website and report the invitation as spam. The option to do this is only available on the full LinkedIn website and is shown as a third option after accept and ignore. This will inform LinkedIn so that they can deal with the situation and hopefully deter the individual behind the profile from doing it again. If you see a spam profile visit the full LinkedIn website and view the profile and then use the flag a profile as inappropriate option. Again this will inform LinkedIn so that they can deal with the individual responsible for the profile and deter future unprofessional practise by the individual. If you do inadvertently accept a spam invitation visit the full LinkedIn website and remove the connection in your contacts page and flag a profile as inappropriate. Don’t, whatever your circumstances or problem take out a pay day loan, it really isn’t worth the terrible consequences that you’ll face if you default on paying back the loan and the extortionate interest rates you will incur. It might not seem like it, but you do have options. There’s always a better option than dealing with these pay day loan companies and I’ve listed some sites and organisations below that have your best interests at heart and can offer practical advice and support in getting you back on track with your finances. If you know of anyone considering taking out a Pay Day Loan encourage them to learn as much as they can before doing anything and point them in the direction of alternatives that might be better for their long term financial health! For those of you unfamiliar with pay day loans they are short term loans due to be paid back between a week and a month that are given on the back of proof of your wages/employment for usually small amounts, anything up to £1000 and don’t require a standard credit check that high street lenders use. On first look they seem like a great idea; a short loan of a week or so to tide you over until pay day, but delve a little deeper and you realise that they charge extortionate interest rates of APRs in the thousands, compared with the average credit card which has an APR of between 17 and 40% and the average high street loan of around 9%. 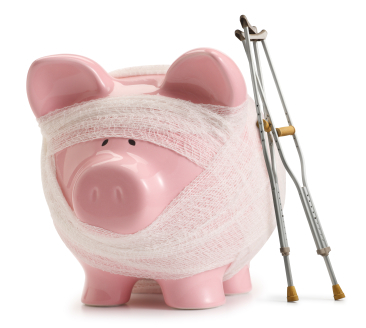 These loans are targeted at people who are ill informed and desperate, taking advantage of individuals who are unable to obtain regular credit and most in need of professional financial guidance! What’s worse is that often these companies are not following the standards of the Irresponsible Lending Guidance (ILG) required of all companies licensed to provide consumer credit under the Consumer Credit Act (CCA). Lots of people who take out these loans are already in financial trouble and fall into a debt spiral as they can’t afford to pay back an initial loan and have to keep taking out further loans to pay back the balance and continually increasing their overall debt. People can end up being unable to cover to the interest let alone the original sum. Stories of people borrowing an initial £100 and owing up to £20,000 are sadly not uncommon, with many people taking out multiple loans from different pay day lenders and ‘rolling up’ their loans four or more times with individual lenders. Rolling up is the practise of taking out an additional loan with the provider to cover the original debt and the interest accrued. These companies may have a professional veneer of snappy TV advertising and slick websites and sometimes shop fronts, but please do not be fooled. We’ve all heard of loan sharks and how they are best to be avoided, well Cambridge English Dictionary’s definition of a loan shark is “a person who charges very large amounts of money for lending money to someone else” and that’s exactly what these pay day loan companies do. The aggressive debt collection activities of these companies is also not dissimilar to the bullying tactics of the traditional loan shark as evidenced by the horror stories reported in the press and on the internet. If you are interested in learning more about pay day loans or are considering taking one out I suggest reading this very useful article from money.co.uk: Warning: Payday Loans Can Seriously Damage your Wealth and checking out The Guardian Payday Loans section on their website. The industry of pay day loans is under review by the Office of Fair Trading (OFT) and has further referred the pay day lending market to the Competition Commission citing “…concerns the OFT has about deep-rooted problems with the way competition works”. The OFT’s Payday Lending Compliance Review Report had some shocking key findings including: “38 of the 50 lenders we inspected failed to comply with at least one of the complaint handling rules of the Financial Ombudsman Service”. You can find out more at the OFT’s Payday lending compliance review pages on their website. If you are struggling with your finances there is lots of information on the internet at sites such as money.co.uk, Money Super Market, MoneySavingExpert.com and The Money Advice Service. The following organisations offer free and independent services to help you to get your finances back on track: Citizens Advice Bureau, National Debtline, GOV.UK, Step Change and Debt Advice Foundation. Bude & Beyond: Payday Loans – It’s A Horror Story! Mail Online: Father dies…after being hounded by payday loan companies…. Mail Online: Rugby league player…hanged himself after getting into huge debt with payday loan companies. This entry was posted in My Blog, Wealie Advice and tagged blog, job hunting, job seeking, LinkedIn, loans, payday loans, ruth weal, social media, spam, spam profiles, spammers, unprofessional practice, unprofessional practise, wealie. Bookmark the permalink. 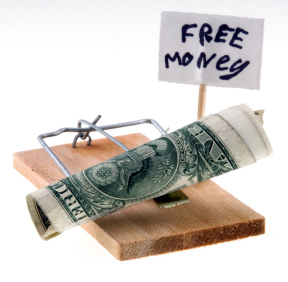 Beware of spam payday loan profiles on LinkedIn | Wealie’s World.